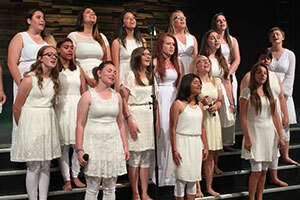 Lakeland Girls Academy is a lower cost but highly effective Christian therapeutic boarding school. 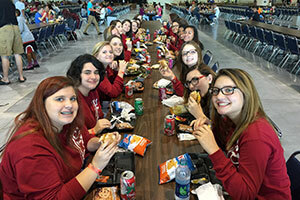 Lakeland Girls Academy is a lower cost but highly effective Christian therapeutic boarding school for teenage girls. The secure 10,000 square foot home-like facility is in Lakeland, Florida, on acreage nestled in a quiet middle-class community. There are ample areas for physical activities on the property, including a screened-in pool. Progress of students is based on a collaborative and collective effort of the counselors, directors, staff, and family members. Counseling is provided by Masters level therapists. Treatment is unique to the student’s needs. To achieve the next therapy level students and families must complete therapy assignments before moving forward. Emotional intelligence growth varies with each student. Therefore, duration of enrollment at our school is based on their progress rather than a set period of time. Counseling is ongoing all day, every day at Lakeland Girls Academy, with numerous opportunities for learning and growth. Individual counseling sessions encourage transparency and self-acceptance. Group counseling helps students develop problem solving skills that will last a lifetime. Personal responsibility and respect for others is taught through our Christian Character Qualities training. As each student learns these qualities they start to develop a genuine concern and respect for others. Obedience, respect for those in authority, and Christ-like compassion are the core values we instill in all students. Lakeland Girls Academy provides focused and individualized academic attention for the girls in its care. The focus is on improved study skills and performance, which gives a competitive advantage in college. Though education is not the main purpose of a girl attending the Lakeland program, parents have peace of mind knowing that they have provided their girl with the best educational foundation for life and for future advanced education. Students have opportunities to participate in activities they may never have chosen at home. New passions are discovered as students become more well-rounded through participation. Participation in sports improves self-discipline, self-confidence and self-esteem. Healthier lifestyle choices become habits that will produce lasting benefits. Many activities encourage teamwork and improve the relational skills necessary for success. Group activities prepare students to consider and respect on other’s needs. When a student comes to Lakeland Girls Academy it is typical for there to be blame-shifting, avoidance of responsibility, and sometimes complete denial of wrong doing. Soon after enrollment the student begins to experience some regret for the consequences of her prior behavior. Essentially, she is “sorry” for being caught in her behavior but has yet to experience a turning away from her old sinful desires. This may be very similar to the ups and downs that parents have experienced at home, promises to change, periods of peace, that cycle back to crisis. Regret does not change individuals, repentance does. Many times, teens have been spared the heartache of the full-blown consequences for their negative decisions. This is because at this age they are only beginning to experiment with behaviors that would later in life render them completely hopeless and unfulfilled in every area of their life; emotionally, academically, physically, and spiritually. In some cases teens have been protected from the full consequences of their decisions by well intending adults. For these reasons, teens are not always entirely certain of the need for change in their lives. However, the parent is convinced of this need for life changing intervention. At Lakeland Girls Academy we consider ourselves an early intervention program, intervening in adolescents’ lives before they become an adult trapped in a dysfunctional lifestyle. Lakeland Girls Academy provides a safe haven for adolescents who have sought to fill the void in their hearts, only to reap destructive consequences in its place. Our program provides an opportunity for each student to refocus and assess her life decisions and allows her the opportunity to choose the abundant life Christ has to offer. In the process, the student is taught indispensable lessons of strong work ethics, team work, patience, diligence, determination, communication, submission and motivation, to name a few. A small and personal escape…far from the struggles and distractions of the “outside” world. Lakeland is a relational safe-haven for self-discovery and growth, but it is not a resort; girls are taught to take responsibility for themselves and for others through regular chores and a structured schedule. 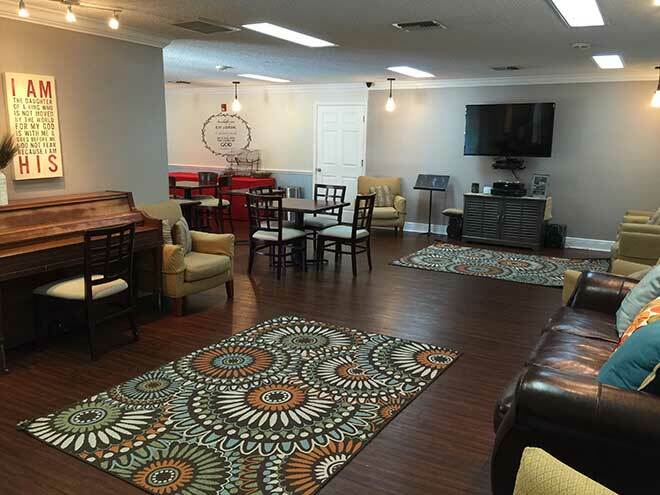 Residents receive perpetual care from a staff that is on duty 24 hours a day, 7 days a week. They provide ongoing positive role models with a high degree personal discipline and accountability. 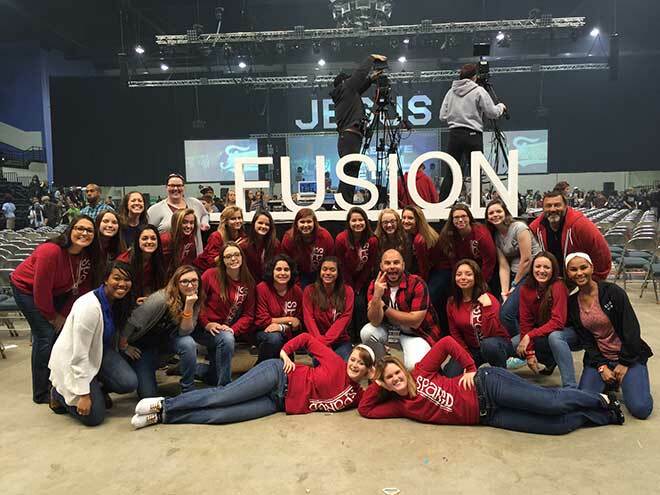 Lakeland’s staff are living examples of a passionate, purpose-driven life. For each, it is not just a job, it is a calling. Lakeland helps girls cultivate a sense of compassion for others’ needs through helping others who are less fortunate. Through giving of themselves, they gain an increased sense of significance. Our residents experience the joy of service, emulating Jesus’ servant leadership through special off-campus trips where they volunteer to help others. Lakeland’s Positive Peer Culture (PPC) program influences your child to develop problem solving skills with peers while taking a “Principle” stand. It requires the girls to exemplify personal accountability as a leader. It encourages loving “confrontation” by peers versus policing and correction by adults. After all, most kids get off track by the negative influences of peers back home. Our atmosphere encourages the opposite. Lakeland’s Leadership Training Program provides our residents with “graduate level” life skills training, improving the chance of long-term success. It encourages them to become a respected leader versus a follower of others’ lead. it improves ones understanding of the difficulties associated with authority and leadership. Lakeland’s goal is to form a partnership for transformation between the child and the parent as issues are addressed. The goal is to improves the level of mutual trust and respect as parent and child both accept their contribution and take responsibility for the breach in relationship. It creates a healthier environment for communication, improving the chances for restoration and lasting success. And it helps the child understand and deal with their emotions and respond to others more appropriately. We have regular family retreats and training events on our campus. A unique aspect of the Lakeland program is the Graduate House. Students who complete the therapeutic aspect of Lakeland’s program may continue to reside in our Graduate House while completing high school. This solves a crucial need for parents to minimize the potential for old problems to resurface if a child is required to return to an unfavorable high school environment.